And so another esteemed rock musician heads for the ultimate gig - The great gig in the sky. Although I saw Deep Purple many times on TV, I only every saw them once live. That was in 1984, at Western Springs Stadium, Auckland, New Zealand. This was on the "Perfect Strangers" tour, reforming after 9 years apart - They imploded in 1976 after a calamitous last tour with replacement guitarist, the vastly underrated Tommy Bolin. Now, years later with Blackmore & the much vaunted "Mk2" lineup intact again ( Lord, Blackmore, Roger Glover, Ian Gillan, Ian Paice) and a new album to boot, they ended back down in NZ for one epic gig, albeit with the still erratic & twitchy Blackmore once again letting something get under his skin. For the encore, the expected playing of "Smoke on the Water" started not with that infamous guitar riff, rather it was Lord valiantly pounding out that signature on his battered but trusty Hammond organ. Then the thunderous rhythm section locked in unison with Lord, next up? Not Blackmore, but singer Ian Gillan, wailing away in his distinctive rock voice, but still... No friggin Blackmore!*&%$#$! 40,000 fans were getting rather frustrated, but on planet Blackmore? Hello, no-one home. In fact, he opted out altogether of this classic, presumably heading back to a groupie/alcohol/drugs - or all three for all we know! The rest of 'em plowed on through the song, shaking their heads (again) at the latest shenanigan that he was renown for throughout the previous decade. Up until that point it had been a revelatory experience, marred only by the man in black's petulance/reluctance to front up for the supposedly triumphant last song. Hey, I guess that's why they call it Rock 'N Roll! Irrespective of that black spot, the one lingering image I carry to this day is Lord giving a tour de force performance in rock keyboard playing. He pummeled his poor old much-abused B3 relentlessly, rocking it backwards/forwards with increasing motions that had us fans seriously concerned for his welfare. Thought the bloody hefty thing was going to bury him at any given point in the nights entertainment! However, he was nothing but a total professional, so you kinda suspected that just maybe, he had done this specific activity once or twice previously. 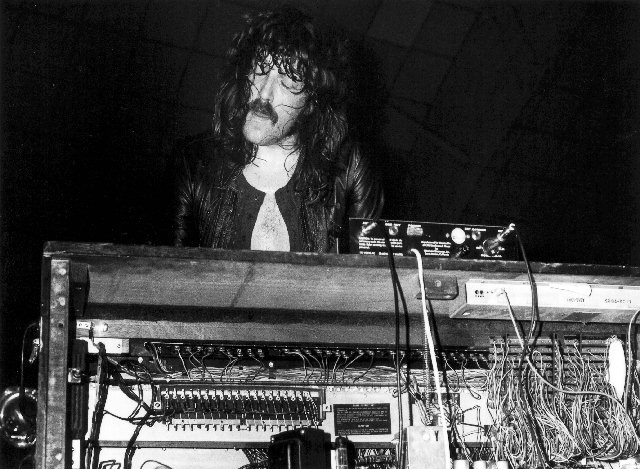 Its been a real pleasure listening to your immeasurable contributions to the world of music Jon Lord, thanks for all the wonderful musical memories. May you rest in peace - and rock on in heaven!